On the design front, we’ve been taking advantage of the consistent early spring swells to refine a few new models for sum sum summer time. Keep an eye out for our newest variation on the fish platform. Blazing down the line speed and a huge sweet spot with tight control in the pocket when surfed off the tail. We’ve also been playing with different variations of a moon tail quiver killer. 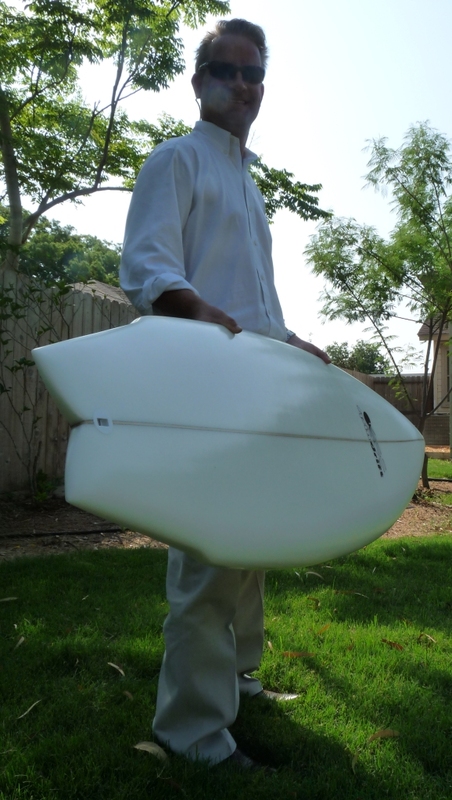 Like so many of the boards we design for everyday conditions, these boards are shorter, wider, and flatter than standard issue thruster shortboards, but they have very high performance bottoms, accelerated tail rocker, and sensitive, speedy rails. Like a diamond tail, the moon tail shortens the rail line, giving you a tighter turning radius. In anticipation of summertime south wind and big, sloppy wind swell, we’ve been developing a few models of hand planes with the hope of stuffing ourselves into some hollow inside sections. If you’ve never tried one, you’d be amazed out how much fun you can have on an otherwise frustrating day, not to mention what you can do once conditions actually turn on. The plane below is shaped out of poplar and finished in linseed oil (no chemicals!). 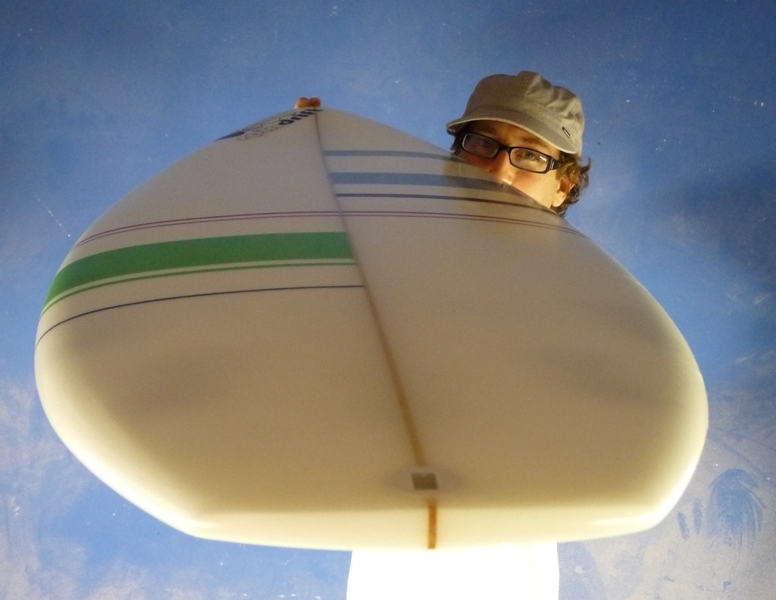 As for bottom design, belly in the front gives way to a huge concave in the back half of the plane. 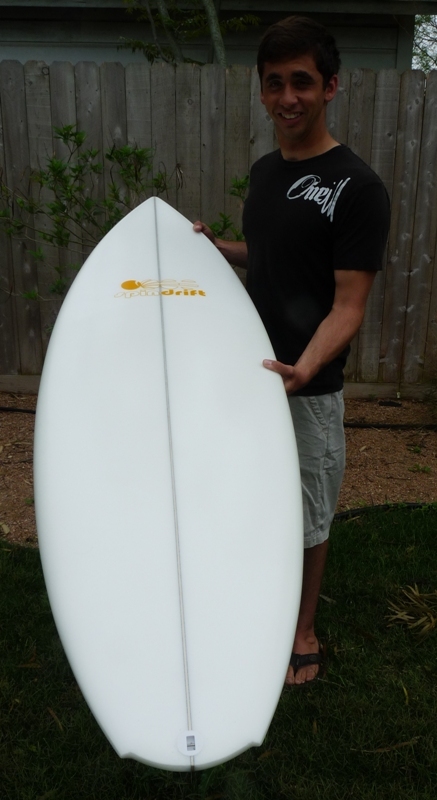 Pics of other models, including a lower volume, rounded pin tail barrel rider coming soon.